[New for 2016] Alright, time for our fourth Edy's candy-inspired flavor. 100 Grand was surprisingly good, but there is a certain something here that has me worried. That's right, we've got the same crispie clusters from their Buncha Crunch flavor... just realized why they call them "crispie" clusters and not crispy clusters, because they ain't crispy! Despite that, they do go really well with the mint base. 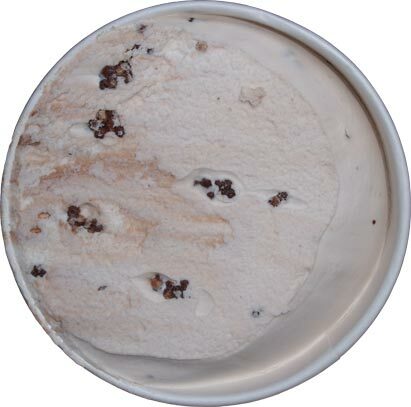 On Second Scoop: Man, if they could deliver a crisp crunch in every bite, this would be an easy two thumbs up. As is, it's decent, but too frustrating for multiple purchases. Yes if you dig a mint flavor with a good chocolate factor, you will dig this to some degree. It's just personally frustrating for me when a flavor gets close but can't seal the deal. Parting Thought: Why not a Nestle Goobers Ice Cream? Goobers mixed in to a peanut butter base and a chocolate swirl? Easy win right there that keeps with the theme. I tried the Butterfinger one and it's not epic. Come to think of it, there seem to be two Butterfinger ones, the second one being Butterfinger Peanut Butter Cups. I only tried the regular one. But if you want good Edy's ice cream, try Washington Apple Pie. That one was fantastic, much better than anything else I've tried from the brand (the other ones range from OK to good). @Ryker: correct, there is the original butterfinger one that has been around forever, and then there is a new butterfinger peanut butter cup flavor. And they made another apple flavor long ago which I assume is similar. 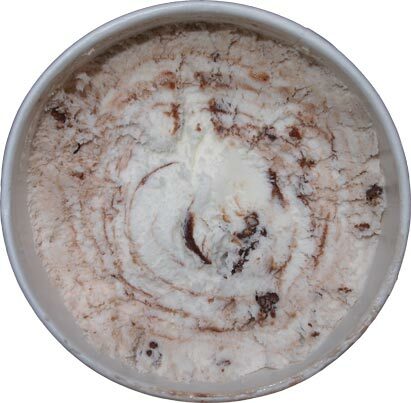 My problem is their 2016 slow churned texture. Texture is huge for me and I think they've taken a step back this year. I totally agree about Edy's 2016 texture. I used to be a huge fan of their slow churned double fudge brownie and French silk ice creams, but their texture seems to have drastically changed - much too gummy for me now. 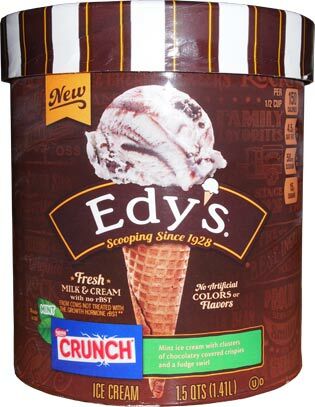 Bring back old Edy's!